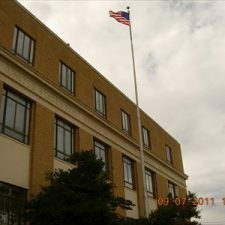 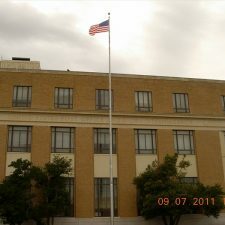 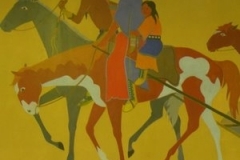 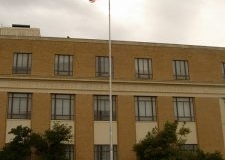 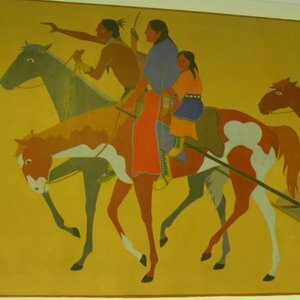 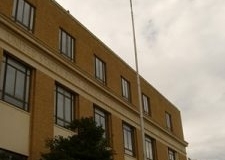 The historic Anadarko post office building and Kiowa Indian Agency building was constructed with federal Treasury Department funds. 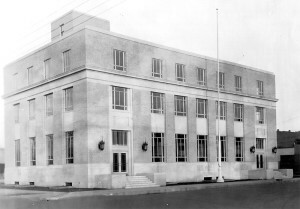 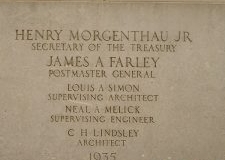 The building, which houses New Deal artwork, was completed in 1936 and is still in use today. Contractors: J.J. Bollinger Construction Co. 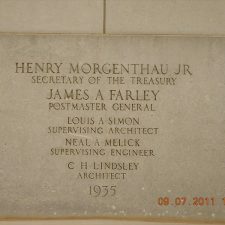 Completion views of federal buildings (prints) alphabetically by state and thereunder by city, to 1966; Box 71.